These gorgeous moonstones were a find at a bead show I recently went to. The flash on these stones is so pretty the camera refuses to pick it up. Truly one of those even better in person pieces! 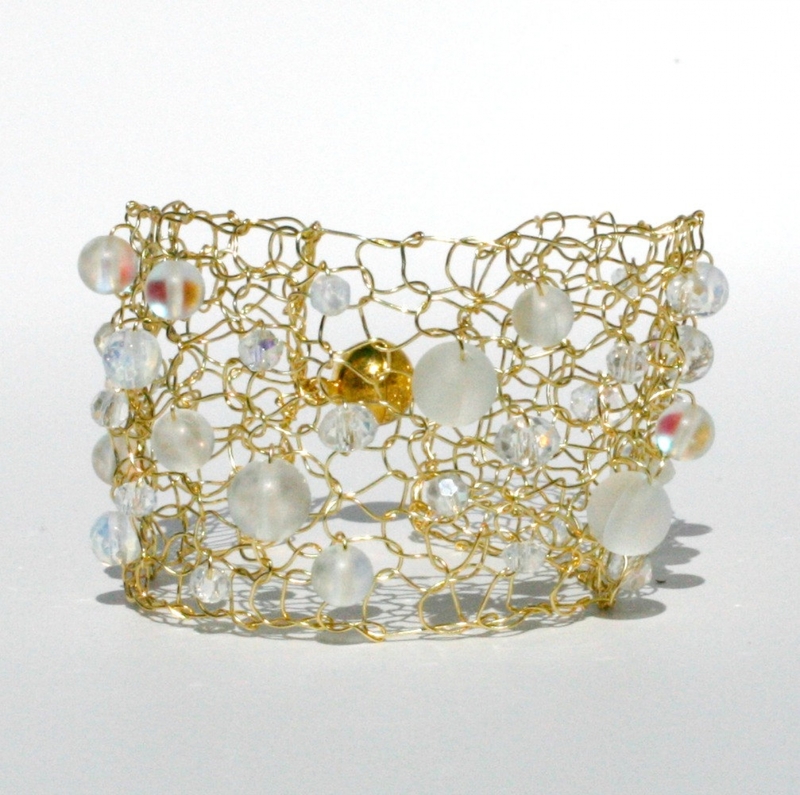 The wire mesh cuff is hand knit with fine gold plated wire. 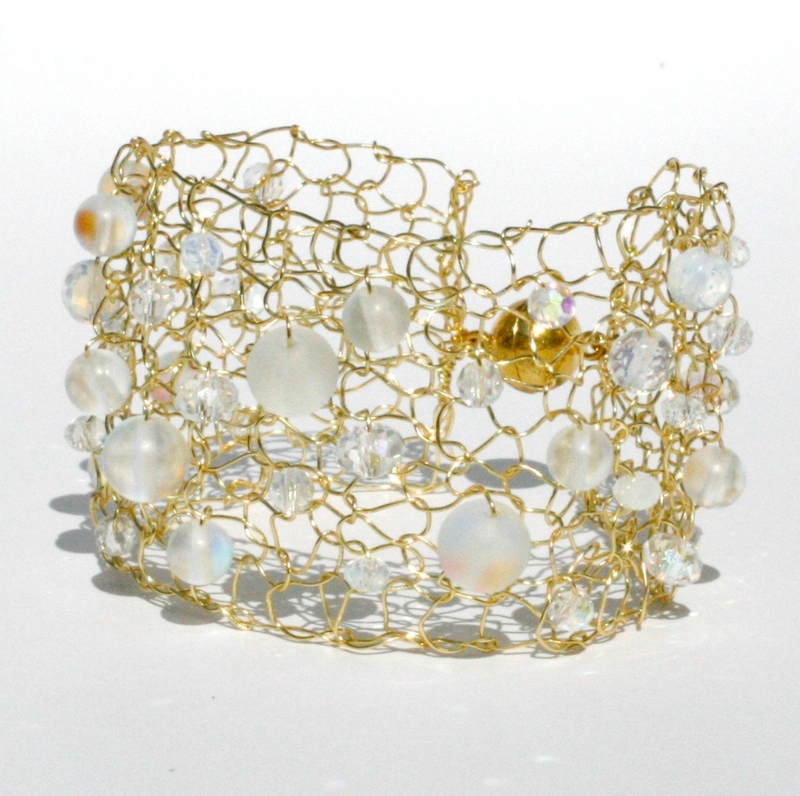 I string the glowing moonstone mixed with crystal aurora borealis for added flash and shine. 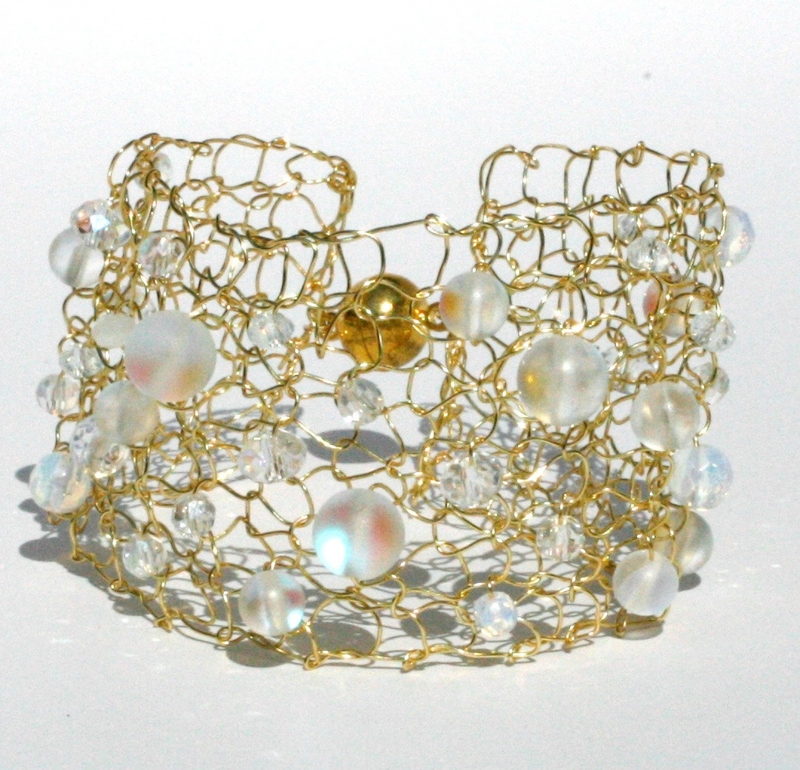 I then hand knit the mesh cuff. 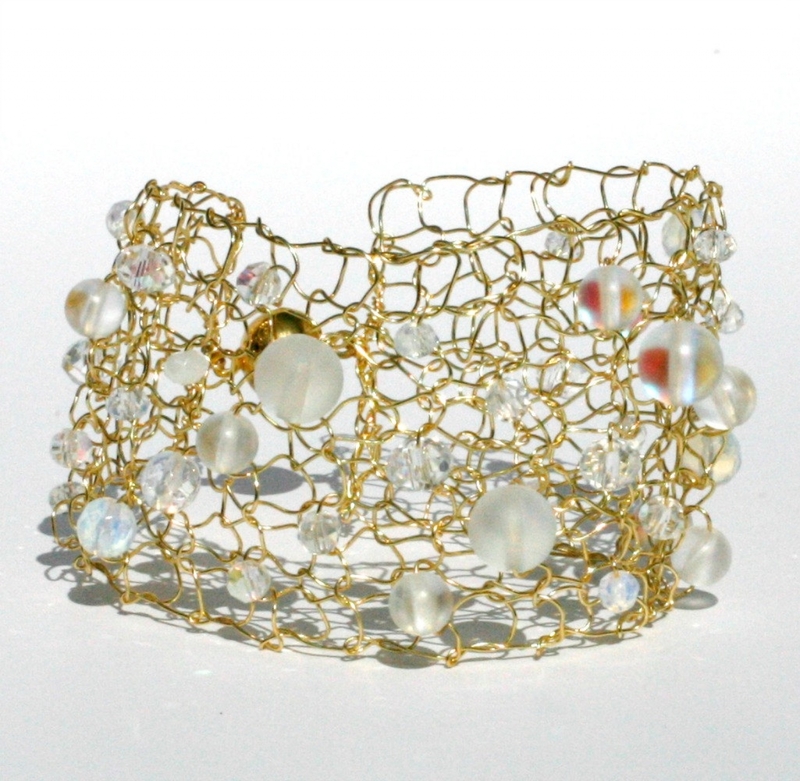 This piece is the medium width of 1 1/2" and will be knit to your specified length. These beads are limited - so I will only be able to offer a few of this bead mix.